Invest into your relationship by looking at each of your expectations and hopes for the future. Marriage Preparation helps you look at the expectations you have of your marriage, the effect your family experience may have on your relationship and your hopes for the future. It will help you appreciate the differences you each bring to the relationship and how you can become an even better marriage partner. It is estimated that the average couple spends 250 hours organising the wedding and the average wedding costs a staggering £15,000. 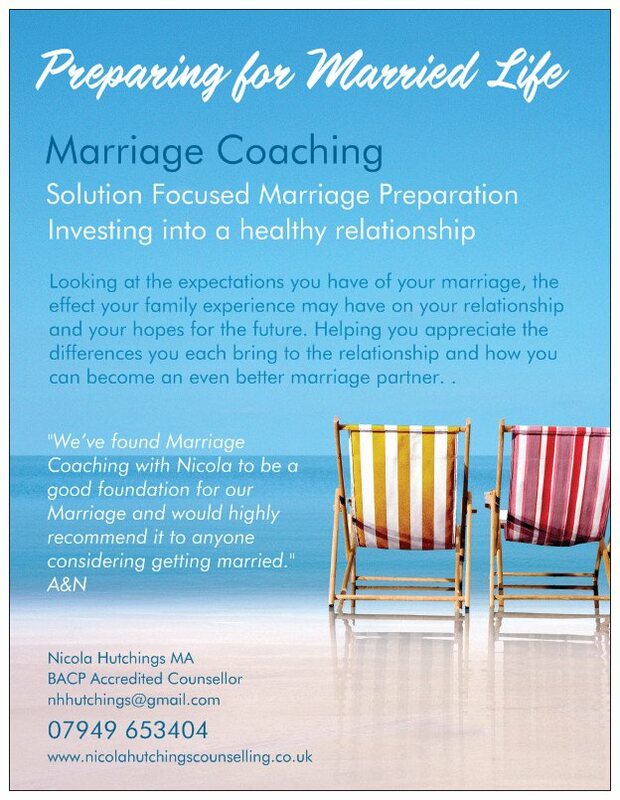 For a fraction of that time and money Marriage Preparation Coaching gives you an opportunity to invest into your relationship and your future life together.